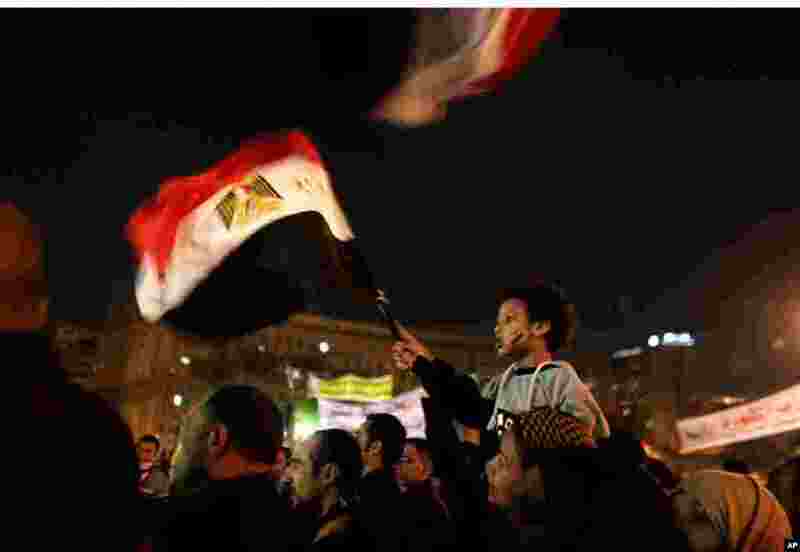 ١ A young boy waves a national flag from his mother's shoulders as protesters chant slogans in Tahrir Square in Cairo, Egypt, December 4, 2012. 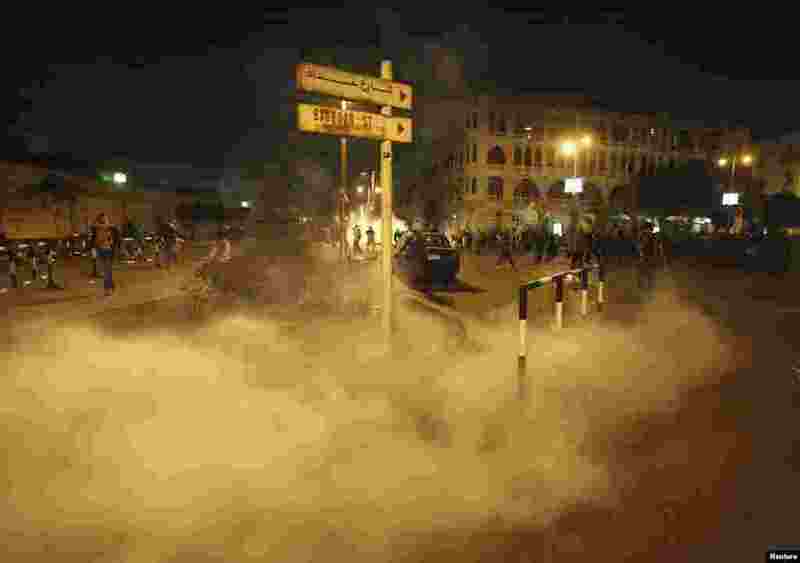 ٢ Anti-Morsi protesters run from smoke from a tear gas canister thrown by riot police, during clashes in front of the presidential palace in Cairo, Egypt, December 4, 2012. 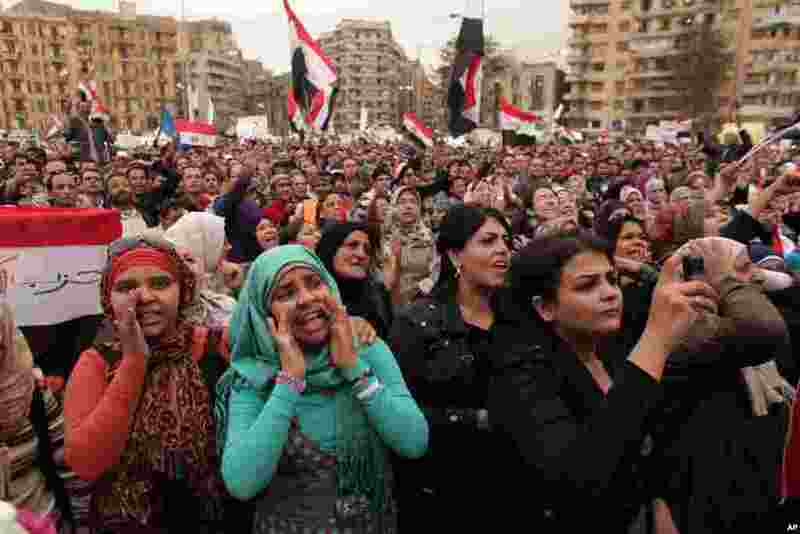 ٣ Protesters chant slogans and wave national flags in Tahrir Square in Cairo, Egypt, December 4, 2012. 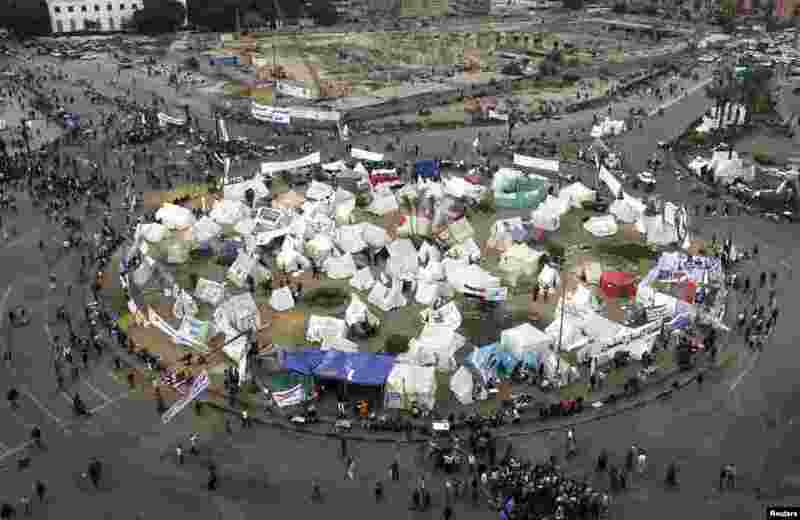 ٤ People walk between tents belonging to anti-Morsi protesters, in Tahrir square, Cairo, Egypt, December 4, 2012.